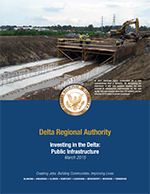 The Delta Regional Authority has invested $211 million and leveraged $4.5 billion in public and private funds in communities across the region. These investments target economic development in numerous sectors and industries that support a strong economy for our communities. 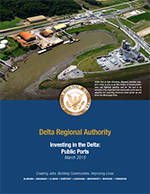 The following fact sheets outline the specific investments that the DRA has made into specific sectors and policy areas to create jobs and improve the lives of the people of the Delta region. 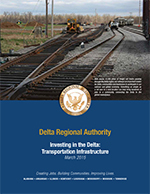 Additionally, these investments have been shown to bring an impressive return on both state and federal dollars. 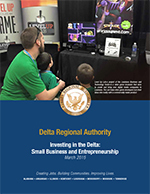 Learn more about region-wide and state returns on investments by clicking on the region-wide and state dashboards. 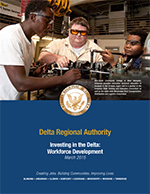 Each state within the Delta region contributes a portion of state funds toward the DRA's investments made through the States' Economic Development Assistance Program. 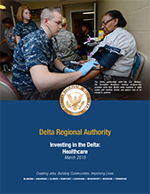 Through 13 investment cycles the DRA has seen impressive returns on investment on both federal funds and state contributions. *Snapshots and investment reports are based on investment numbers from funding cycles FY 2002-2014.